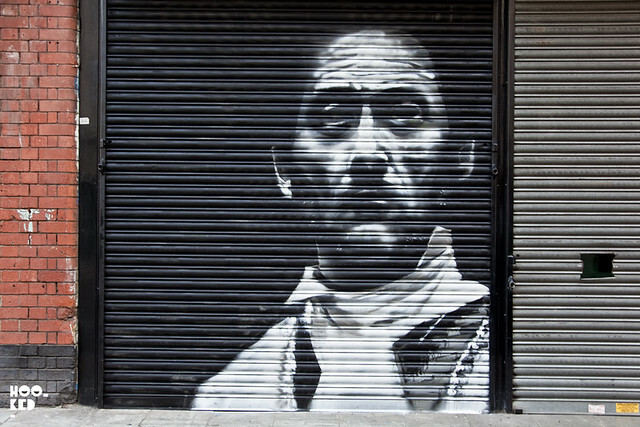 It's alway a joy to see London based Irish artist Conor Harrington's work on the streets. This new shutter from the artist was painted about a week ago but we just stumbled upon the new work last night. According to Conor this is "A lil quick shutter piece" that he painted while "necking espressos"! 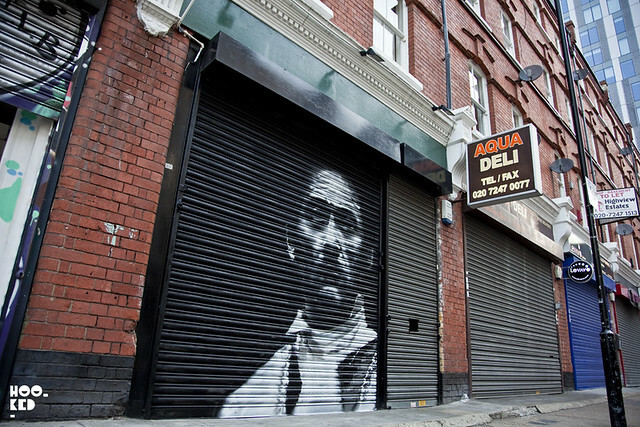 The new work is located close to Petticoat Lane Market in East London go check it out if you are in the neighbourhood. Great post! thank you...very much looking very nice.